Nashville Invitation Design: A Magazine Feature! Several months ago I received a message from Adam on the press team at Etsy. 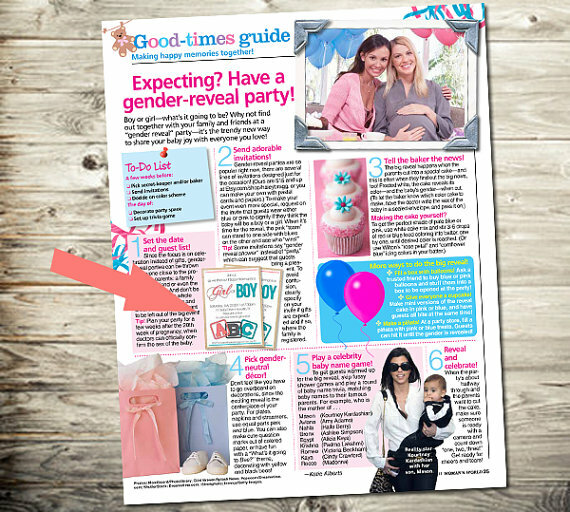 He said that he was working on a gender reveal story for Woman’s World Magazine and that they would potentially like to use one of my designs for their issue and did I mind? DID I MIND? A magazine feature? OF COURSE NOT! It FINALLY hit the stands this week (the cover date is October 3) which means that I could finally tell you about it! You guys, I’m on the same page as Kourtney Kardashian! See the design in my shop. ← Nashville Graphic Design: New Stationery! I know, right?! So fun!